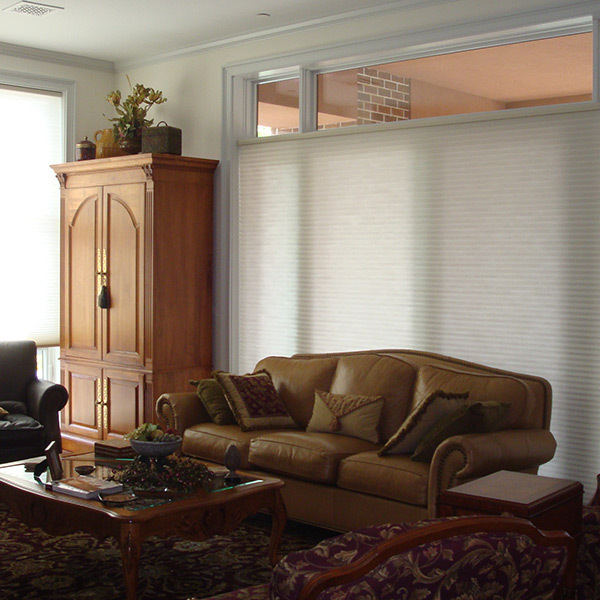 Blinds, shutters, and shades perform a valuable service in our homes by offering privacy, insulation, and light control. Hunter Douglas invents and develops the most innovative blinds and shades, which are often copied but never duplicated. 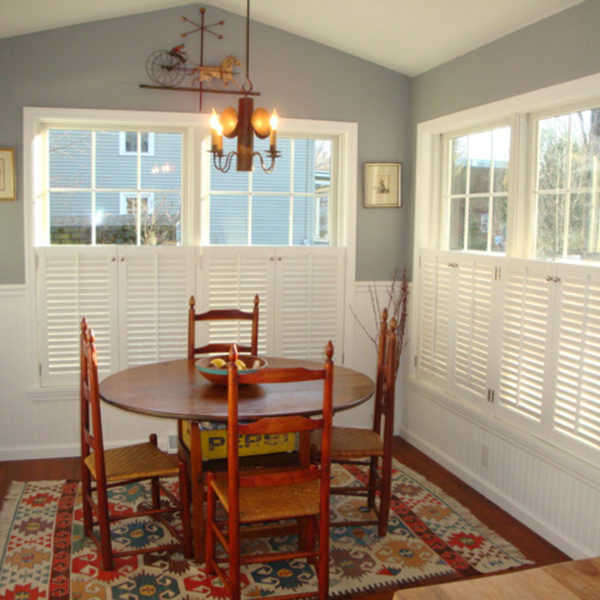 When purchasing window treatments, you have many choices about how and where to buy them. 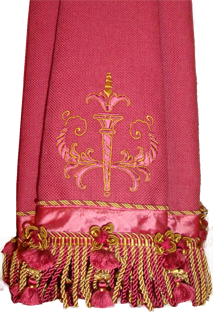 You have the opportunity to help the growth of your local community by purchasing through Best Dressed Windows in Town, Saratoga’s longest-operating locally owned drapery and window shade company. 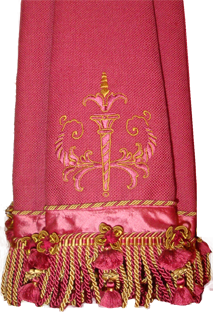 Opened and operated by Michele since 1986. Best Dressed Windows in Town is a Certified Priority Dealer for Hunter Douglas and has been providing excellent Hunter Douglas representation in Saratoga Springs for three decades. Rebates – Best Dressed Windows is a participating dealer for Hunter Douglas Rebates when they are offered. Warranty Service – Best Dressed Windows will not shy away if you have a problem with your products. 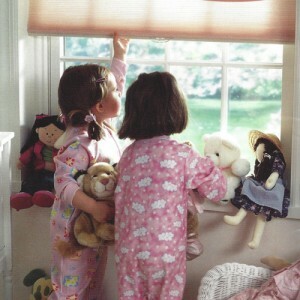 In the unlikely event there is an issue with your old or new Hunter Douglas blinds or shades, you are never alone. 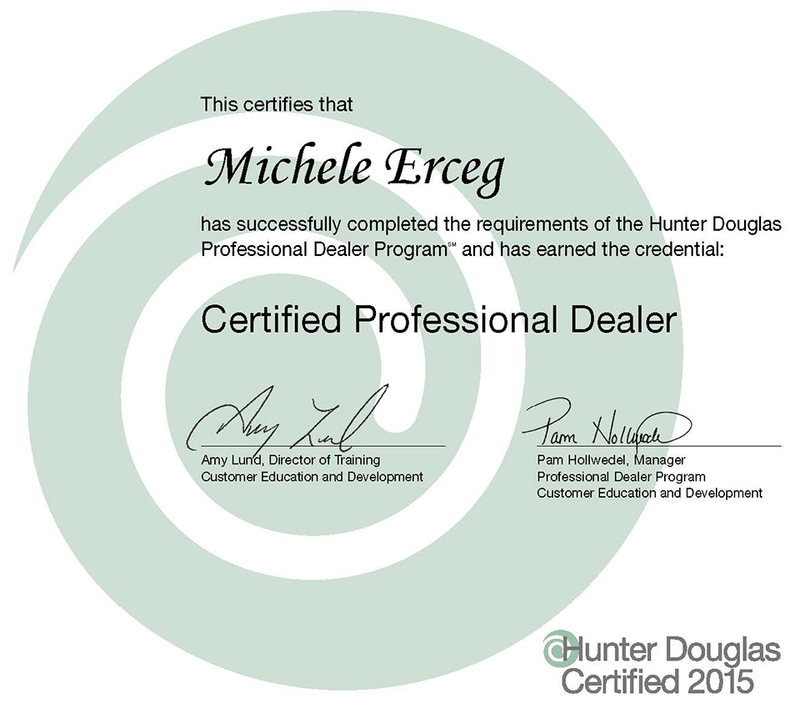 Michele Erceg will assist you by returning them so they can be serviced under the company’s excellent warranty. Specialized Training – Michele Erceg, owner of Best Dressed Windows in Town, attends all Hunter Douglas training classes in an effort to know as much about Hunter Douglas products as possible. If she can’t answer a question you have directly, she will get the answer for you. 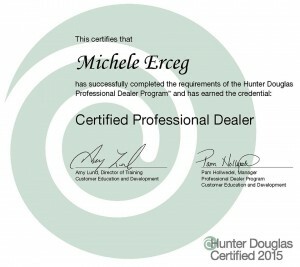 She has been Saratoga’s Local Certified Hunter Douglas Priority Dealer since 1986. If you believe that you get what you pay for, then you also know that a cheap price on blinds, shutter, and shades is no substitute for knowledge, service, and experience. Best Dressed Windows in Town can assist with product information, sales, rebates, and service for these innovative Hunter Douglas products. 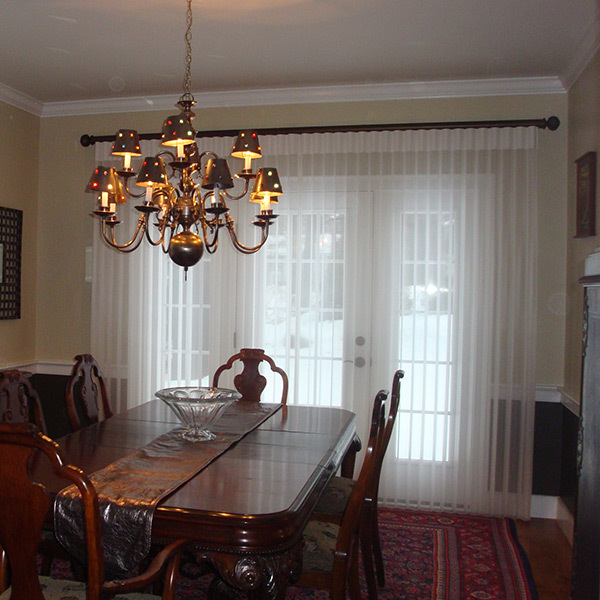 Call us for design and installation services at 518.587.8988.